Jesus and Mary were Jewish and the festivals and practices of their faith influenced much of their lives. So, to understand the mysteries of the rosary it helps to know a little about the Jewish faith and traditions as practiced by Jesus, Mary and Joseph. What do calendars and measures of time have to do with the rosary? Nothing, unless you would like to understand when something happened and what impact that had on Salvation History. You will see in the Joyful mysteries that when you know when in time Jesus is born on the Temple calendar it totally changes our understanding of the events narrated in scripture. Suddenly it makes sense that there was no room in the inn, that Jesus was born in a stable, and that the angels appeared to the shepherds. It had to be that way! Suddenly you will see that even from his birth Jesus is the Light of the World, the Source of Living Water, and the Lamb of God. For the temple, each month began with the sighting of the new moon. 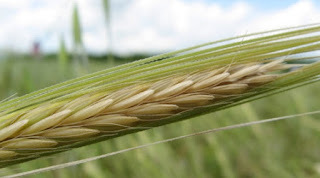 The priests used the fact that barley only had one crop per year; so, if the crop was not ready (Abib) for harvesting at the end of the 11th month then an additional month was added to the year. Barley was used based on the requirement to both support the feast of First Fruits with a barley wave offering and the fact that Exodus occurred during the month of the Abib. Prior to Ezra months were not named they were simply numbered. There was both a religious calendar and a secular calendar. The religious calendar begins on the 1st of Nisan. The Feasts of the Lord are based on the religious calendar. The secular calendar begins on the 1st of Tishrei. The year on the Jewish calendar is the count of the years since the creation of Adam based on the text in the bible and the secular calendar. However, there is some argument among Jewish scholars as to exactly what the current year should be. The year values shown in this document is from the Calendar used for all the dates shown here. The Israelites held that every 7th year was a Sabbatical year or Shemitah year. During that year, there was to be no farming done, debts were to be forgiven and slaves released. In addition, on the Shemitah year the Torah was to be read aloud on the feast of Tabernacles and all women and children were to accompany the men to the designated place of worship for the Feast of Tabernacles. On the 29th of Adar a priest examined the barley in the fields outside Jerusalem. If it was Abib, the next day was Nisan 1. If it was not Abib, the next day was the 30th of Adar I, the leap month. If a particularly dry year caused the barley to be late and a leap year was declared there could be 3 years before the next leap year. The barley served to keep the calendar correct. There is a 19-year cycle for leap years: 1,2,3,4,5,6,7,8,9,10,11,12,13,14,15,16,17,18,19 where each bolded year is a leap year. A cycle began in the year 3 AD so 2 AD (year 19), 1 BC (year 17), and 4 BC (year 14) are leap years. Shortly after the destruction of the temple it was decided to simply follow the observed cycle and not pay attention to the barley since the Jews had spread all over the known world and communicating with the diaspora that it was to be a leap year was problematic. There are occasionally minor adjustments made to keep Yom Kippur (Tishrei 10) from falling on a Friday or Hoshanah Rabad (Tishrei 21) from falling on a Saturday. When that could potentially occur, an extra day is added to Cheshvan or subtracted from Kislev the previous year and then reversed the following year. What this is doing is preventing the occurrence of back to back Sabbaths. Since cooking is forbidden on the Sabbath this prevents people from having to make and store food for 2 days, something problematic before refrigeration. One of the side effects is that Nisan 14 will never fall on a Thursday, which would cause Friday, Nisan 15, to be a Sabbath and Saturday is always a Sabbath. That means that First Fruits can never fall on a Saturday so it is always the 3rd day! The Essene’s calendar is based on the book of Enoch (Jubilees 6:30) and Noah’s solar year in the ark. It is a solar calendar in which there are always 12 months in a year. There are 4 quarters of 30, 30, and 31-day months. The Essene calendar maintains the focus on the week as primary to the month. The focus on the week of the Essene calendar meant that a date, say the 15th of Nisan, would always fall on the same day of the week: Wednesday. So, if your birthday was on Tuesday it was always on Tuesday. In the year 2015 the Gregorian, Israelite, and Essene calendars were all back to the same position as they were in the year 33, the year Jesus was crucified and rose from the dead. With controversy, over when the feast of the Resurrection is celebrated, the issue could be harmoniously resolved by making the determination based on the Essence calendar. 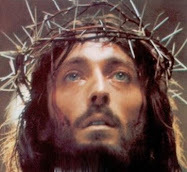 Jesus rose from the dead, on Nisan 19 on the Essene calendar which will always fall on a Sunday, the 1st day of the week. After all Jesus celebrated the feast of unleavened bread on the Essence calendar why can’t we celebrate the Resurrection on the Essene calendar? Any part of a unit of time was considered that time. A minute into an hour was 1 hour, an hour into a day was one day. Jesus was in the tomb 31 elapsed hours, but he was in the tomb 3 days: He was buried right before sunset Friday, the first day, He was in the tomb from sunset Friday through sunset Saturday, the second day, and He rose at 3am on Sunday the third day. By the same token a year on the temple calendar has 51 weeks even though it has 50 weeks and 4 days. The father’s name: Simon bar Jonah (Simon son of Jonah), Nathanial is also called Bartholomew (which means son of Talmai). The name of the city of origin: Jesus the Nazarene or Judas Iscariot (Kerioth in Palestine). Judas was always referred to in the New Testament by his place of origin or his father’s name, bar Simon, to differentiate him from Judas son of Clophas. Clophas was the brother of Joseph, the spouse of Mary the mother of Jesus. Simon the Canaanite was also used to differentiate Simon son of Clophas from Simon Peter. A descriptive adjective: St. Jude (Judas son of Clophas) was sometimes called Thaddeus which means “good heart” again to differentiate him from Judas Iscariot. Simon the zealot, aka Simon the Canaanite, also differentiated Simon son of Clophas from Simon Peter “rock”. The son of a prostitute would be known as son of the father (bar abba). Thus, the man released instead of Jesus the Nazarene, who was also named Jesus, was called Barabbas. A significant event in one’s life that marked a change in a person warranted a name change: Saul became Paul (Acts 13:9), Simon became Peter (Jn 1:42), and Jacob became Israel (Gen 35-10). Although Holy Scripture does not mention any events in Jesus life after his birth other than the episode at age 12 in the temple; we can deduce what was happening in his life based on the fact that he lived in Nazareth and began his ministry as a rabbi at age 30. Education for a child in the first century began at age 3 or 4 at Beit Sefer, the “House of the Book”, (elementary school) with the child learning to read and write the Torah. They began memorizing the Torah with lots of practice at home (one didn’t have a take home scroll of the Torah). The children each had a slate so writing space was very limited. They were educated at the local synagogue by a scribe or rabbi. At age 10 they began Beit Talmud, the “House of Learning”, (middle school) still at the local synagogue instructed by a rabbi. From age 10 to 13 they studied the Oral interpretations of the Torah. During that time, they memorized parts of the Tanakh (Joshua and Malachi). They also learned rhetorical debating as a technique to force the student to demonstrate a knowledge of more than just the facts but also an understanding and application of the acquired knowledge. At age 14 they were focused on fulfilling the commandments (all 613 of them). Jesus was found in the temple among the teachers listening to them and asking questions (rhetorical debating) and all who heard him were amazed at his understanding and his answers (Lk 2:40). The students who excelled to this point were placed in Beit Midrash, the “House of Study”, (secondary school). At Beit Midrash, they studied the Rabbinic interpretations of the Torah, (that would become the Talmud). Beit Midrash lasted until, at age 18, the student began to learn a trade and most married. Rabbi’s needed to be self-sufficient as most synagogues were too poor to pay them enough to support themselves, let alone a family. Rabbis tended to travel from place to place since small villages could not support a tradesman: tent maker, carpenter, potter, tailor, and so forth, for more than a few jobs. The best of the best at age 20 apprenticed themselves, became Talmid, to a Master Rabbi. They followed, studied, and imitated the Master Rabbi. At age 30 those who remained could be granted authority by the Master Rabbi. With authority, the new rabbi could introduce new interpretations of scripture. When Jesus was asked “By whose authority do you do these things?” (Mt 11:28, Lk 20:2), they were asking him to whom he had been Talmid. Jesus said if you tell me if John’s baptism was from heaven or from men I will tell you; but they responded that they did not know. So now we can only speculate on who could have been his teacher. Rabbis used similar methods of interpreting and teaching scripture. For example, the great teachers used a technique today called remez or hint, in which they used part of a scripture passage in discussion assuming their audience's knowledge of the Torah would allow them to deduce for themselves the fuller meaning. Jesus used this method often. When the children sang Hosanna to him in the Temple and the Sadducees demanded Jesus quiet them, he responded with a quote from Psalm 8: "From the lips of children and infants you have ordained praise." Their anger at Jesus is better understood when you realize that the next phrase in the Psalm adds the reason why children and infants would praise: “because of the enemies of God who would then be silenced” (Ps 8:2). In other words, the priests realized Jesus was implying they were God's enemies! Jesus also used the technique in his comments to Zacchaeus (Lk 19:1-10). Jesus said: "For the Son of Man came to seek and to save what was lost" (Lk 19:10). 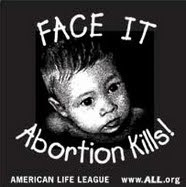 The background to this statement is in Ezekiel (Ez 34:11). God, angry with the leaders of Israel for scattering and harming his flock, states that He himself will become the shepherd and will seek the lost ones and deliver (save) them. Based on this, the people of Jesus' day understood that the Messiah to come would "seek and save" the lost. By using this phrase, knowing the people knew the Scripture, Jesus said several things. To the people, he said "I am the Messiah and God no less." To the leaders (whose influence kept Zacchaeus out of the crowd) He said: "you have scattered and harmed God's flock." To Zacchaeus He said: "you are one of God's lost sheep, He still loves you." Another technique called “gezera Shewa”, draws together two passages linked by a common word. The technique interprets an ambiguous word in one context by its clear meaning in another context. It can also link passages whose themes or motifs might be mutually illuminating. This is exemplified by linking “rest” in Psalm 95:11 with Gen 2:2 as illustrated in Heb 3:18 implying that God’s rest is a state into which God himself entered at the time of creation. Jesus was a rabbi. 13 times in the New Testament Jesus is called a rabbi (Mt 26:25,49; Mk 9:5; Mk 11:21; Mk 14:45; Jn 1:38,49; Jn 3:2,26; Jn 4:31;Jn 6:25; Jn 9:2; Jn 11:8). He was called rabbi by his disciples, lawyers (scribes), ordinary people, the rich, Pharisees, and Sadducees. Jesus would have gone through all the training required to become a rabbi. Makes you wonder to whom he was Talmid! I wonder if both Jesus and John the Baptist were Talmid to John’s father Zechariah  ? It makes Jesus’ response to those asking him who gave him authority very interesting. If they had responded that John’s baptism was from heaven, Jesus could have said that his authority was the same as John’s. That would have been true on two levels as both would have been from Zechariah and both would have been from God himself! We all know that the Holy family consisted of Jesus, Mary and Joseph. Mary's parents were Sts. Joachim and Anne. There is little known about Joseph's family however the second-century historian Julius Africanus, a native of Israel, records information given by Christ’s remaining family in his day. According to their family genealogy, Joseph’s grandfather Matthan (mentioned in Matthew) married a woman named Estha, who bore him a son named Jacob. After Matthan died, Estha married his relative Melchi (mentioned in Luke) and bore him a son named Heli (marrying relatives was common among Jews at this time). Jacob and Heli were thus half-brothers. Heli died childless, so Jacob married his widow and fathered Joseph, who was biologically the son of Jacob but legally the son of Heli ,  Esta and Jacob subsequently had another son Clophas. Clophas was married twice. With his first wife, he had two boys: Simon and Jude, and some daughters. After his first wife died he married Mary the widow of Alpheus. When Alpheus died, he left Mary with a stepson, Matthew, and two sons of her own: James and Joset as well as some daughters. Clophas now had a large family. Matthew the son of Alpheus who was older left home and eventually became a tax collector, until he was asked by Jesus to follow him. Clophas and Mary lived together with four boys, Simon and Jude, James and Joseph and a number of girls. When Clophas died, Joseph took in Clophas’ family as was custom among the Jews. With the joined families, the confusion over Jesus’ family is understandable: thus, Jesus’ brethren (cousins): Simon son of Clophas (aka Simon the Canaanite, Simon the Zealot, and the 2nd bishop of Jerusalem), Jude (aka Thaddeus), James (aka James the less, 1st bishop of Jerusalem) and Joseph (aka Joset), and their sisters (Mk 6:3). Mary the mother of Jesus now lived with her sister [in law] Mary (Jn 19:25). The list of prophecies fulfilled by Jesus would be very long. The following list seems to be the expectations of the people in Jesus’ day. Number 1 and 3 were the only ones the authorities were interested in and only in an earthly political context. No one was expecting the suffering servant of Isaiah. Many Jews both at Jesus time and still today are looking for two Messiahs. One was to be a suffering servant who would suffer and die and the other a mighty warrior who will restore the Nation of Israel. The Holy Place, the tall building in the center of the soreg was just west of the court of the Women. The Ark of the covenant which was hidden by Jeremiah was not in the Temple during Jesus’ time so effectively the Holy of Holies was empty. The Holy Place contained the altar of Incense, the Table of Shewbread, and the Seven Branched Lampstand. Thus, Zechariah went into the Holy Place and offered incense on the Altar of Incense when the Angel appeared to him. From a Christian’s perspective the Altar of Incense stood for God the Father, the Table of Shewbread stood for God the Son, and the Lampstand God the Holy Spirit. Joshua ben Sie, 3 BC - ? You will notice that Ananus was high priest from the year 6 through 15. Joseph Caiaphas began his reign in the year 18 and was High Priest for 18 years. Ananus controlled the Temple through his own rule and that of 5 sons and a son in law; for all but about 6 years between 6AD and 44 AD. Ananus was extremely wealthy. The fact the Luke calls both Ananus and Caiaphas high priest implies that, at the least, he was high priest Emeritus and actually controlled the temple. The devout Jews did not aspire to be saints but to righteousness. Jesus said, the greatest of the commandments is to Love God with all your mind, heart, and strength and then love your neighbor as yourself. Love implies a relationship between the individual and the beloved. If there is no relationship, there can be no love. Righteousness, to the Jew, defines the requirements for participation in a relationship. Being social creatures, we have an implied relationship between each other individually and collectively (relationship to our community). We also have a relationship with animals, land, and all of creation (the environment). Jesus caused the priests and scribes a problem as they only wanted a relationship with the law not with each other. They felt that in keeping the 613 precepts of the law they did not have to do anything else. That of course left them free to serve themselves. Caiaphas knew that Jesus was the Messiah: Jesus entered the city riding a donkey and its foal (Zech 9:9 and Gen 49:11) through the Eastern gate (Ez 44:1–3). He hated Jesus. Jesus frequently accused the Scribes, Pharisees, and Sadducees of being God’s enemies. Jesus upstaged Caiaphas on Palm Sunday (Lamb Selection Day): all the people, waiting for the return of Caiaphas with the lamb selected for the Passover sacrifice to be offered for the people; instead selected Jesus by waving palm fronds and shouting Hosanna. They selected Jesus (the Lamb of God) as the Lamb for the sacrifice. Jesus cleaned out the Temple the next day, the Essene cleaning day. While the Essenes removed leaven (sin) from their fathers’ houses; Jesus removed the sin from his father’s house. It was also the day on which the Sadducees sold 100,000 paschal lambs. The cleaning of the temple caused a loss of revenues and the anger of the money changers who were either the relatives of the high priest(s) or were paying the priests a commission. Jesus is called “Son of God” by others (Angel Gabriel (Lk 1:35), demons – unclean spirits (Mt 4:3,Mt 4:6,Mt 8:29, Lk 4:41, Mk 3:11), John the Baptist (Jn 1:34), Nathanael (Jn 1:49), the apostles (Mt 14:33), Martha (Jn 11:27), and the centurion (Mt 27:34, Mk 15:39)). He indirectly referred to himself as the Son of God (Jn 3:18, Jn 5:25, Jn 10:36, Jn 11:4). Jesus, as the Messiah, also had a mission to restore and reunite the 12 tribes of Israel. That is why most of his ministry was in Galilee. When the Northern and Southern kingdoms were deported by the Assyrians and the Babylonians only the rich and the metal workers were deported. In the Northern Kingdom, many of the commoners fled into Judea when the Assyrians swept across the Northern Kingdom killing all. They returned on the heels of the Assyrians. The majority of the population in the Southern Kingdom, Judea, was commoners that were left on the land. There were devout Israelites from all the tribes of Israel throughout both Galilee and Judea. There were four philosophical groups in Jerusalem during the time of Christ: Pharisees, Sadducees, Hellenist, and Essenes. The Pharisees stressed the importance of following the letter of the law using a literal interpretation (they specialized in using the letter of the law to get around the law). A typical example would be the practice of hiding lunches every 2000 cubits between your home and where you wanted to travel on the Sabbath. The location of the lunch is an extension of your home so traveling from home to lunch, and from lunch to lunch is totally appropriate on the Sabbath. The Sadducees did not believe in angels or life after death, they were the priests who ran the temple. They had a monopoly on providing the lambs for sacrifice in the temple. The Hellenist combined the Jewish religion with the Greek Culture. The prophets were continually preaching against the abuses of syncretism: attempting to merge the worship of Yahweh with other cultures. The Essenes followed the spirit of the law and the prophets. The New Testament mentions all these groups except the Essenes. It doesn’t mention the Essenes because they were “us”. The New Testament points out the others to differentiate them from “us”. 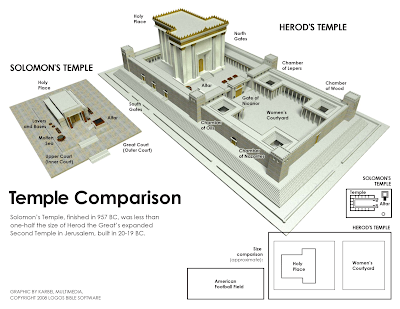 There were at least two types of Essenes one type considered the temple profaned because it was built by an Edomite and run by a very corrupt priesthood. They lived in communes and did not worship in the temple. The other group recognized that the priesthood was corrupt, and Herod was an Edomite but neither caused to temple to be anything other than God’s house. They paid the temple tax and went to the temple for worship. They were however not allowed to offer animal sacrifice in the temple. The sacrificial lambs and goats were raised in the pastures around Bethlehem. Josephus indicates that there were 100,000 lambs/goats sacrificed at Passover. That would imply there were also 100,000 ewes born every year which required 200,000 ewes to produce the lambs. Since it takes on average a ram for every 25 ewes  it will require 8000 rams to produce the lambs. With 200,000 sheep under 1-year-old there were in addition 100,000 male lambs that were 1-year-old. So, the minimum flock would be 508,000 sheep but was probably much larger. Grazing land supports 5 sheep per acre (12 sheep per hectare). Assuming a total flock of just the 508,000 it would require a minimum of 101,600 acres (41,116 hectares) of pasturage. That is 159 square miles (412 square kilometers). 159 square miles (412 square kilometers) defines a circle with a radius of 7 miles (11.25 Km). Bethlehem is only 5 miles (8 kilometers) from the temple in Jerusalem. Basically, all the pasturage around Bethlehem was controlled by the Sadducees! The Levites that were descendants of Aaron were either priests, shepherds or tradesmen. If you could not handle the educational requirements to be a priest, or the skill required to be a tradesman, you became a shepherd. The sheep had to be moved frequently or they would over graze the area, eating all the roots so that the pasture became bare ground. Sheep do not need to be sheltered (stabled) since they have their own wool coats. During the night, they are frequently held in a sheepfold to protect them from predators and keep them from wandering off. Sheep give birth throughout the year. The newborn lambs do require protection during the first few weeks of life, until their coat grows out. With a flock producing in excess of 200,000 lambs per year there would be approximately 550 births per day. Thus, the shepherds built both sheepfolds and stables near Bethlehem. They did not move the flocks to the area around Bethlehem until the cold of winter, so the rest of the flock would not over gaze the area near the city. It also allowed the shepherds to enjoy the warmth provided in the city during the coldest nights of the winter. Although Zechariah was a Levite which would imply he was a Sadducee; his beliefs would have been more aligned with the Pharisees as it would be hard for him to not believe in angels after an encounter with one left him unable to speak. Rabbis were not normally priests but a priest could be a rabbi. Zechariah as both a priest and a Master Rabbi would have assured the finest training and preparation for both John and Jesus. That is why most of Jesus’s ministry was in Galilee. The leaders only counted the wealthy. They were deported by Assyria. Many of the poor remained in Galilee.